One of the best things about HBO 24/7 Penguins/Capitals: Road to the Winter Classic aside from the amazing footage and Bruce F***ing Boudreau f-bombs, is the little things you learn about each team. It may be what they do on plane rides, the epic close ups of battle scars, or even just catching an interview with Bruce F***ing Boudreau after lunch. The show reveals so much, that it makes us wonder what it would be like if HBO covered the other 28 NHL teams. Luckily, before HBO decided on the Penguins and Capitals, they followed every team for a day to see who would be the best to film. We managed to get a hold of this extra footage before the NHL buried it in an Arizona desert like the Winnipeg Jets. Philadelphia - Most of the footage shot takes place in frat houses and show the players making out with hot co-eds. New York Rangers – The HBO special turns into a tourism ad for New York City with 90% of the content filmed on the streets. 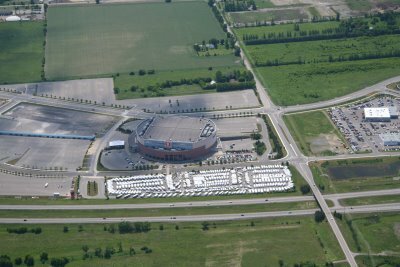 Buffalo – It’s revealed that most of the players actually live in Toronto and carpool back and forth for practices and games. New Jersey Devils – The camera catches Zach Parise's reaction to discovering his injury is more severe and he'll likely be out for the season. 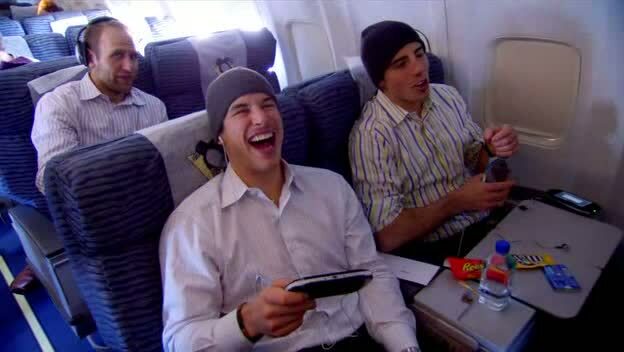 Surprisingly, Parise fist pumps and seems happy to not have to join the struggling Devils. Montreal – Going against all professional athlete norms, the team has a bottomless poutine hot plate in their dressing room. Boston - During a remodelling of Peter Chiarelli's office, it is revealed he's installed a countdown clock to the 2011 NHL Entry Draft and a framed picture of Tyler Sequin getting drafted. Ottawa - The HBO crew showed up to film the Senators, but didn't realize the rink wasn't actually in Ottawa. No footage was taped for the team. New York Islanders – The cameras catch John Tavares looking at real estate in Toronto and discover that he also has a countdown clock on his iPhone for the days until he is a UFA. Toronto – Ron Wilson doesn’t say an entire word to the team during intermissions as the Leafs are too busy trying to get in some games of Call of Duty: Black Ops. Atlanta – HBO hires people to be in the stands during the games to give it a real professional sports team feel. There is also a lot of Hip Hop rappers promoting their new tracks in all the screen shots. Tampa Bay – In one of the scenes they show Steven Stamkos not back checking hard enough and before the commentator can say anything he is choked out by Gary Roberts. Carolina – It’s really cool that during Canes' games they show live NASCAR races on the in house TV’s and scoreboard. St Louis - Keith Tkachuk is banished from the Blues private box for eating over $250 bucks worth of hot dogs and nachos every game. Florida – The Panthers organization beg HBO to not show the team partying at the beach the afternoon before a game. They offer them 4 tickets, 4 hot dogs, 4 soft drinks and free parking for $39 bucks. Detroit – The secret to the Red Wings success? Mike Ilitch makes them eat Little Caesars crazy bread before games. The real secret is in the sauce. Nashville – After injuries to every goalie in the Nashville system, a HBO producer plays goal for the Preds and records a shutout. Even Darren Pang could have great stats with the Preds defensive system. Chicago – Are the only team to have a stripper pole in the middle of their dressing room. Their after game parties are legen - wait for it... - dary. Columbus – Rick Nash gets tired of being the only one interviewed by HBO and demands a trade (trivia question: name 5 players on Columbus). Colorado – During an intermission, cameras show Adam Foote in a rocking chair reading a pop-up book to the young Avs. Minnesota - The crew follows Brent Burns around and the day is going great until one of his pet snakes attacks the camera and a producer needs anti-venom. 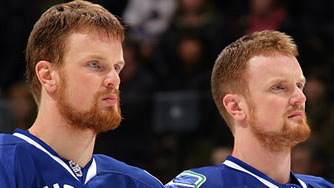 Vancouver – With the HBO exposure the Sedin twins think it’s the perfect time to announce their new clothing line. It’s just like Mary Kate and Ashley’s line, but for red heads. Edmonton - It’s so cold in Edmonton that one of the cameras freezes during a outdoor shoot with Taylor Hall playing shinny with a bunch of kids. Not even the cheerleaders can warm up that city. Calgary – A closer look at the Flames reveals that all the Sutter brothers are involved in the team and their parents even work at the concession stands (Darryl resigned as GM to help out with T-shirt sales). Dallas – Mike Ribeiro seems drunk during most of the filming and ends up showing the HBO crew his favorite strip clubs in the area. The strippers interviewed also confirm that he has pretty good hands. San Jose – In San Jose the first 45 minutes of the show is amazing with a lot of great scenes of the boys scoring and playing relaxed. The last part of the show is a black screen. Anaheim – The Ducks give HBO all the access they want and in the dressing room it's revealed that Ryan Getzlaf showers with a hat on and George Parros and Ron Jeremy have more then a mustache in common. Phoenix - The NHL forces HBO to cover the team, but the only interesting thing they can find is Paul Bissonnette on twitter. The entire hour is him on his blackberry tweeting. What would you hope to find out about your favourite NHL team? It would be interesting to see what Ron Wilson actually says to the Leafs... Whatever he does it doesn't work. that Dustin Brown one is just mean. "Dallas – Mike Ribeiro seems drunk during most of the filming and ends up showing the HBO crew his favorite strip clubs in the area. The strippers interviewed also confirm that he has pretty good hands." Great post. How is this not in the top shelf posts? I see Brian Burke has been watching HBO. 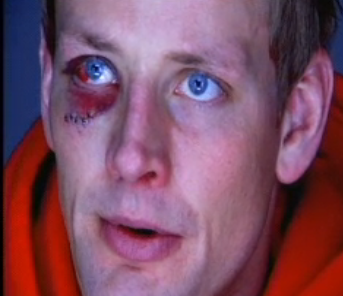 They showed him playing in the personnel game on TSN during the Leafs game. 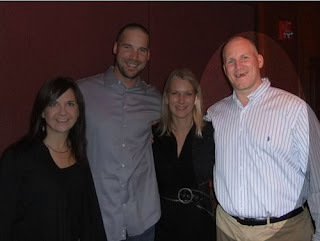 I think he was wearing khakis. wow, Adam Foote still plays in the league? when is Oil Change on... plus, did anyone hear about a 24/7 fot Heritage Classic?